Your Basement Has Flooded. What Should You Do? Your basement is flooded. You must act fast, before the damage gets worse and restoration and repair costs rise. 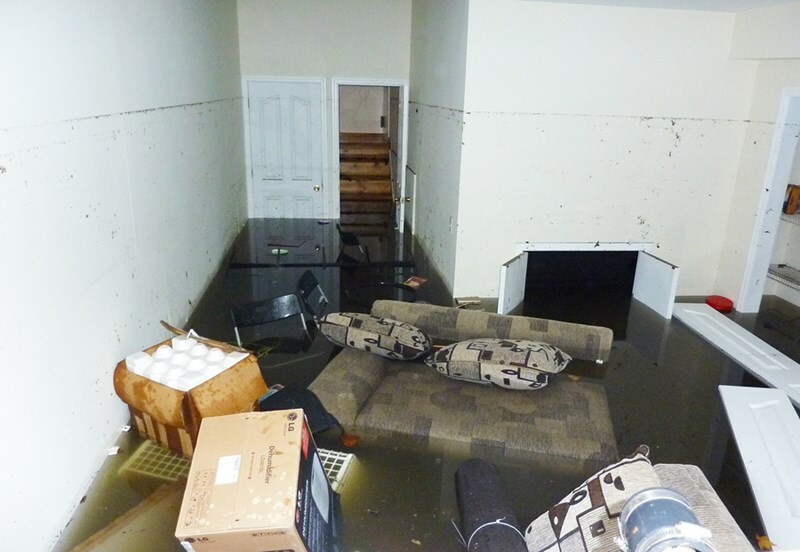 These basement flood clean-up tips will help you do what you must. Porters Cleaning>>Blog>>Your Basement Has Flooded. What Should You Do? A basement is an exceptional space. Perhaps it’s your man cave or family room, a party space or a self-contained suite for guests. Whatever it is, you’ve spent time and money on designing and renovating to make it perfect. You’ve waterproofed the basement walls. It’s perfect. Then your worst nightmare happens. You discover six inches of water. Your underground paradise is now an indoor swimming pool. You’ve got the task of a basement flood clean-up on your hands. Whether the flood has been caused by a storm, burst pipes, or (perhaps worst of all) a sewage problem, you don’t have the luxury of taking your time to make that basement flood clean-up. You may feel like shutting yourself in a dark room, but the longer you leave the clean-up, the worse the damage will become. If you act quickly, most of your belongings will probably be salvageable. Never walk into a flooded basement. No, this isn’t because of the threat of infection from contaminated water, even though this is a real threat. It’s because of an even bigger danger: electricity. If you step into a pool of water in a basement, you could be electrocuted. Don’t take any risks where electricity and water are concerned. Turn the power off, or better still, call an electrician to be on the safe side. Burst pipes – Turn off the water at the shutter valve. If yours needs a special tool to shut it off, go straight to step #3. Sewage – Stop using toilets and faucets. Call your sewage authority. They may provide pumping services. If yours is a septic system, you must make all arrangements with your septic company. Groundwater – Oh, boy! This may smell less than sewage, but it is probably a worse problem to have. If this is the reason for your flood, you have a structural problem. Call the pros. In New Jersey, get in touch with Porter’s Cleaning. You’ll need to have the structural problem fixed, and then avoid common problems when waterproofing your basement. A basement flood clean-up is not for the inexperienced. Contact a plumber or other professional with the equipment to pump the water out. The faster this is done, the less damage their will be. Less damage equals lower clean-up and flood restoration costs. Now that you have arranged emergency work to be done, take plenty of photos and videos (if possible). These will back up your insurance claim when you make it. Without delay, contact your insurance company and report the flood. Tell them what action you have taken, who you have hired, and any estimates you have been given. Email the photos and video to them. Insurance companies usually move fast in flood cases, because of the potential health risk and because they know any delay could be costly. If you have a flood or a continual problem with condensation or water in your basement in NJ, it could be a sign that you have bigger problems. Don’t hesitate to contact Porter’s Cleaning. We’ll assess the situation, and we’ll provide an estimate for the basement flood clean-up. We guarantee that we’ll work fast to give you back your little piece of underground paradise.